Queenstown is New Zealand's premier tourist destination and the perfect place to begin your motorhome hire holiday, surrounded by majestic mountains and nestled on the sparkling shores of Lake Wakatipu. One of Queenstown’s real offerings as a premier tourist destination is its ability to adapt to the weather, there are four seasons of activities in Queenstown and Discovery Campervans can help you discover them. Use the quote box above to browse motorhome rental prices from the top suppliers in Queenstown. If you have a rough idea of the activities you want to tick off your list whilst visiting Queenstown but you are still on the hunt for a bit of wild exploration, take a look at our 5 and 10 day motorhome hire itineraries here. 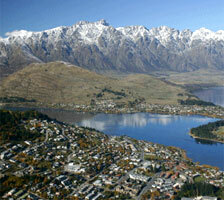 Queenstown is renowned as the 'adventure capital of the world'. Here you will find everything an adventure seeker and adrenaline junkie could want: bungy jumping, jet boating and sky diving, just to name a few. Another highlight of the Queenstown region is the abundance of "Lord of the Rings" locations in the surrounding area. Apart from areas of Wellington, this area was used for many of the scenes in the Oscar-winning movie. 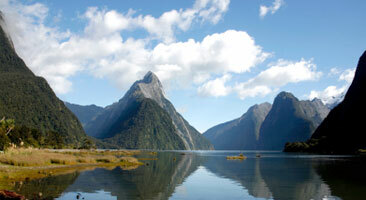 See exactly why Peter Jackson chose this area and discover the land of the hobbits for yourself. Choose to take a guided tour or do your research and find the locations yourself. Be sure to take your camera with you as you will want to cherish these sights forever! Start planning your New Zealand Motorhome holiday today and fill out the quote box above to compare campervan prices. If you have any queries please feel free to visit our FAQ's page or contact us directly to chat.